“This has been a long held goal and we are all very excited to be working with the ACMA. 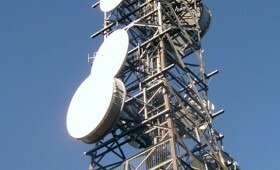 It’s a great endorsement of our reputation for attention to detail and quality and our customer-centric approach that we have developed over the last decade working on carrier and government communications networks,” said Jeff Gresham, Adnexus MD. The ACMA has radio communications monitoring facilities across Australia. An upgrade program has been initiated the project is being managed by the ACMA Monitoring and Measurement Section. This upgrade is being carried out to meet operational requirements and includes tower, feeder, antenna and monitoring hardware swap outs and upgrading. 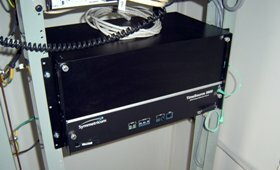 Upgrade requirements include removal of legacy hardware, feeder and antennas and installation and swap over of new monitoring and measurement equipment such as UHV, VHF radios, Direction Finding equipment and antenna, Discone antenna and associated hardware, feeder systems, mounting hardware and control cables. (See slider images for more information). Current feedback has been very positive with all current upgrade works “performing brilliantly, thank you for your outstanding work”. Please click the below link or select individual project to the left for further experience.. Working with CoverTel Adnexus delivered a highly technical GPS clock Sync source NE into major HTAL hub sites across Australia on the Telstra and HTAL 3GIS network.